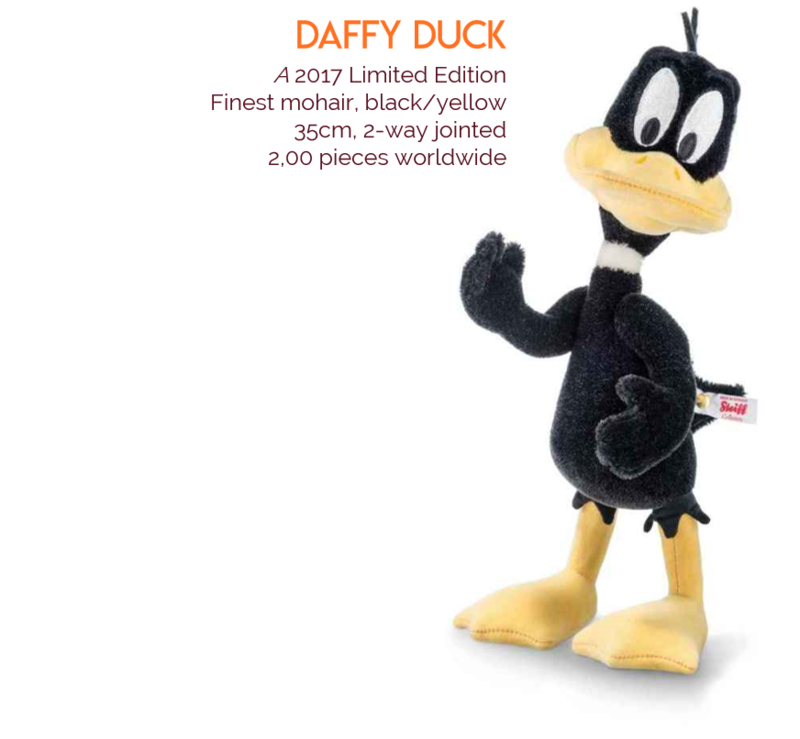 If you liked Steiff’s Bugs Bunny and Tasmanian Devil from last year’s Limited Edition collection, you’ll be pleased to know that that was not all, folks. 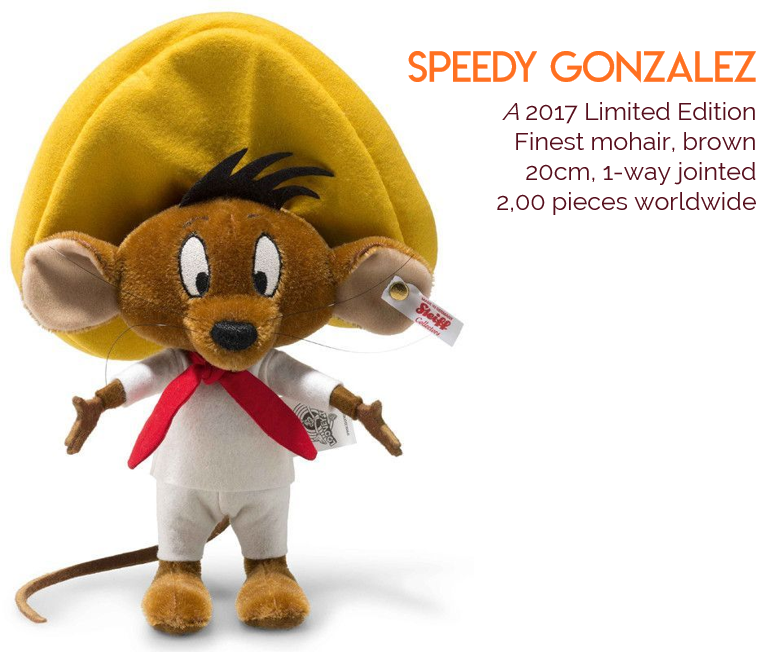 This year, Steiff returns with two more classic Looney Tunes favourites, both just as much of a cornerstone as the original bunny-devil duo, and definitely what you need to complete that looooooooney collection of yours! Both just as frenetic and unpredictable as the other, this duck-mouse duo may be rivals on screen, but a most delightful pair to have next to each other on any collectors’ shelf! Where Daffy is silly and gangly and hyperactive, rocket-heeled Speedy is quick and heroic with a heart for the weak. Both are explosive in their own right, and their antagonistic relationship has more often than not resulted in an endless series of comic misadventures. Crafted from the finest Schulte mohair, these Limited Edition Warner Brother pieces are both available at only 2,000 pieces worldwide, and are set to be rare collectors’ items in no time. Two-way jointed Daffy is able to wave and beckon trouble over, while Speedy has a movable head that allows him to look all ways as he makes a dash for his next destination. Both come with a white button-in-ear tag and a numbered certificate of authencity – the true markings that are found on any Steiff Limited Edition masterpiece.